開始後まもなく, 実験的方向に特化したユニットSAWADA + HARADA結成 , FAUSTの招聘により, ドイツAvant-Garde Festivalに出演, 3日間を締めくくるクロージングアクトで演奏, Jean-Herve Peronより, 最も美しいエンディングだったと評される. 国内各所での演奏やインスタレーション, ツアー, WAAPA edith cowan大学でのアーティストトークやMonash大学でのワークショップ, FMラジオなどの番組出演, パースでのTotally Huge New Music Festivalのヘッドライナーとしての出演, 長野渋温泉でのフェスティバル音泉温楽出演、Tokyo Experimental Festivalへの出演など. コラボレーションも多く行っているほか, 自身がオーガナイズするコンサートシリーズ, (an) arrangememnt(s)は東京を代表するイベントになっており, 世界各国のアーティストからも高い評価を得た. グリッチを独自に解釈, 音楽的には, 既存の音が持つエンベロープをMaxMSPにてことごとく破壊解体し再構築する極端な手法を得意とする. そして, アコースティック楽器や空間的な響きや人の感覚などに重点を置きつつ, それらを変換し, データの複合体として扱い, 別の形で再構築させる音楽的な実験を行っている. そうしたData Complex Communicationを題材としたアンサンブル作品は非常に高く評価されている. D.O.B. Sep, 02 / 1983 Tokyo Japan. 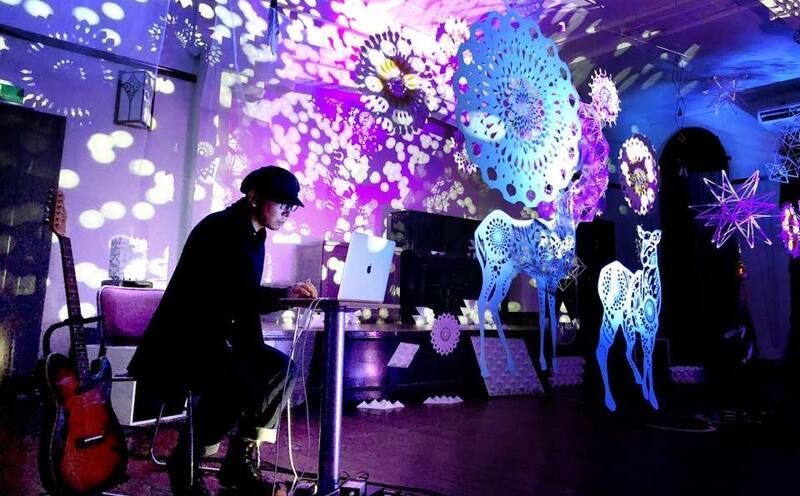 Kouhei Harada is a progressive sound artist, musician, installation and performance artist. The composition is based on the philosophical thoughts of post-modernism Kouhei researched in Tamagawa university. These are multi-type works, tracks, sound installations, performances, videos, etc. The focus is the space between 0 and 1, analog and digital, human and human, micro and macro, and the bug/ glitch between suggestion of things and action of human, etc. His most individual technic is de-construction & re-construction. This is treating everything as Complex Datas by converting instruments sound, digital audio, visual matrix, timeline, space environment, etc to Datas, and re-constructing to different forms. And makes everything of works and learned every technics for works by him-self, sound making, composition, audio engineering, video processing, mapped projection technic, application programming, sensor device programming, self-made speaker craft technic, and organizing events series “(an) arrangement(s)”. This independent creativity influenced many domestic and international artists, and connected different scenes, and so Kouhei is also doing the agent for international artists who comes to Japan for their performances. Kouhei has ever arranged tours for many artists from Australia, France, Italy, Spain, Switzerland, USA, etc, by no profit no reward, doing just for the cultural exchange between each arts. ・#005 guest: Cat Hope(AU), Lindsay Vickery(AU) (Museum of Contemporary Art Tokyo, 2011) forced cancelled.